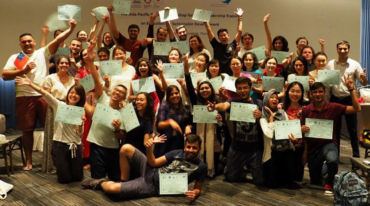 The Goi Peace Foundation maintains a Special Consultative Status with the Economic and Social Council of the United Nations, and official relations with UNESCO (United Nations Educational, Scientific and Cultural Organization). We cooperate with United Nations bodies and special agencies as well as other international and regional organizations to further our shared objectives. 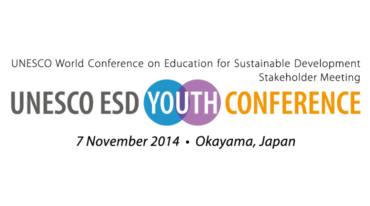 The Foundation was a co-organizer of the UNESCO ESD Youth Conference held in Okayama, Japan, as one of the stakeholder meetings of the UNESCO World Conference on Education for Sustainable Development held in Aichi-Nagoya, Japan, in November 2014. 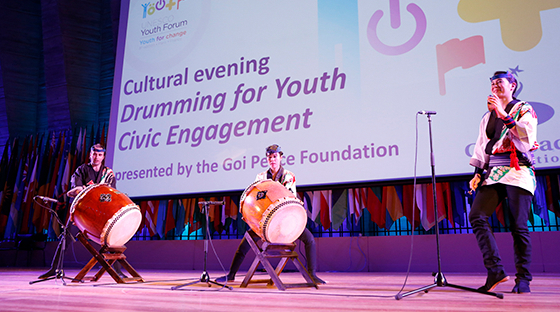 As a partner of UNESCO, the Goi Peace Foundation contributed to the production of the 7th and 8th UNESCO Youth Forums, held at UNESCO Headquarters in Paris in 2011 and 2013 respectively, by organizing cultural and other related events as part of the official program. 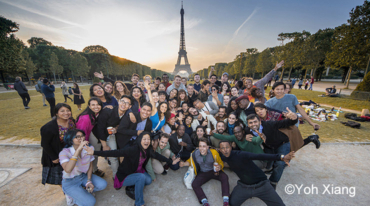 An integral part of UNESCO’s General Conference, the biannual UNESCO Youth Forum offers a platform for young women and men from across the world to discuss youth issues and find solutions. 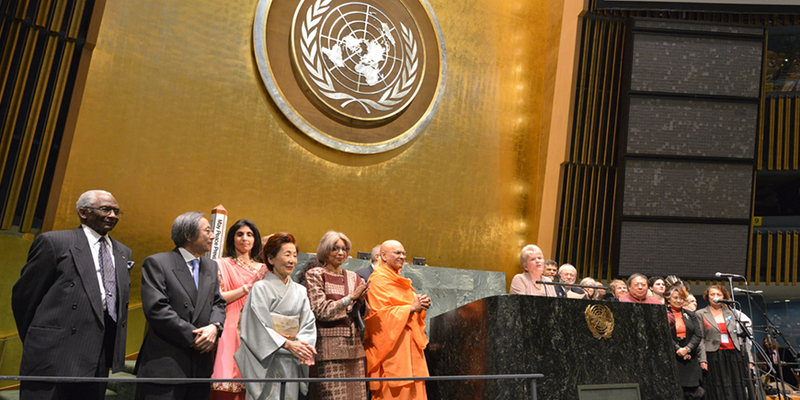 On February 14, 2013, a special event entitled “United for a Culture of Peace Through Interfaith Harmony was held in the UN General Assembly Hall, presented by H.E. Mr. Vuk Jeremic, President of the 67th UN General Assembly, and co-sponsored by UNESCO and the Committee of Religious NGOs at the United Nations. The Goi Peace Foundation supported the event by contributing program contents. 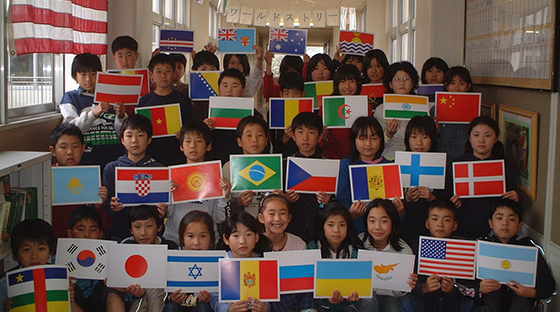 In collaboration with the United Nations Information Centre in Tokyo, the Foundation organized a major educational program to encourage schools throughout Japan to observe the International Day of Peace on September 21. 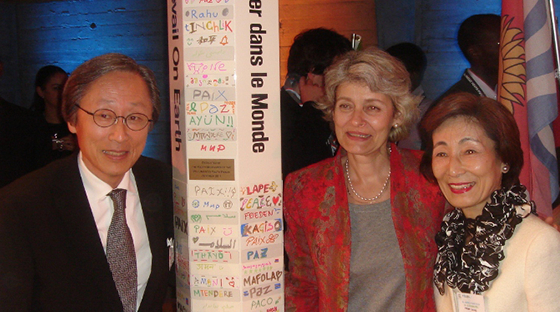 During the 3-year campaign from 2003-2005, a total of over 98,000 students from 235 schools participated in the program by celebrating peace and learning about the work of the United Nations, including the Millennium Development Goals. 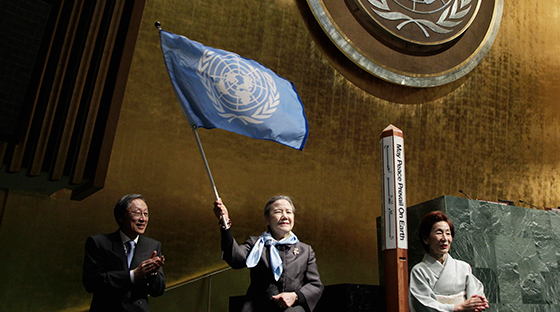 Commemorating the International Year of Ecotourism in 2002, the Foundation and the United Nations Information Centre cosponsored a symposium at the United Nations University in Tokyo, in conjunction with a photo exhibition on ecotourism. This major multicultural event, held in September 2000, was designated by UNESCO as a flagship event for the International Year for the Culture of Peace. It drew more than 10,000 participants to the Nippon Budokan in Tokyo, including members of the Japanese imperial family and ambassadors and representatives from 90 countries.